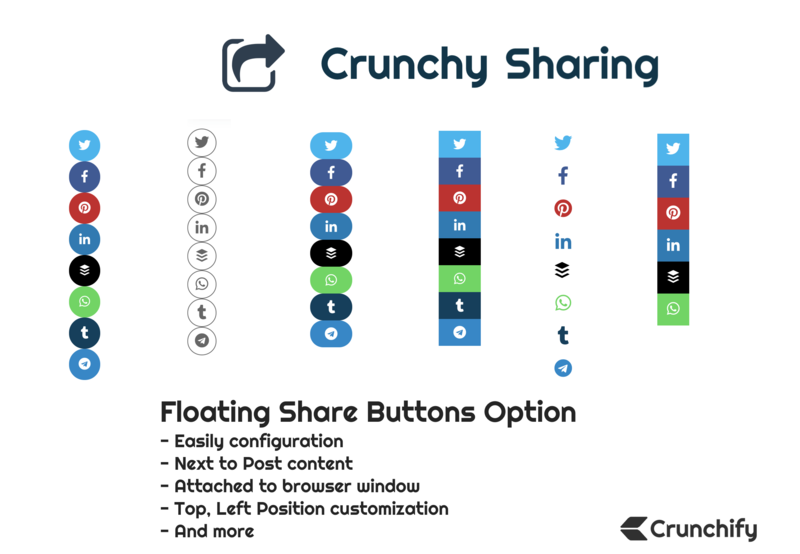 We are pleased to announce our brand new plugin Crunchy Sharing. This are couple of more tutorials I’ve written on how to optimize your WordPress site by eliminating WordPress plugin. It’s worth checking. Adding Social Share Buttons to any WordPress Page, No Plugin. Why implement your own Social Sharing Button? Let’s check what all scripts your site loads for above 5 social sharing plugins. If you add more then add an extra script for each. There is no point to load above scripts on each and every page on your site. Go to your theme’s function.php file and paste below code. This will add sharing button at the bottom of the post. We have used the_content WordPress hook. It displays the contents of the current post/page. Here is how your code looks like in functions.php file. Make sure you clear your site cache. I’m using WP Super Cache plugin on my site. If you want to optimize all setting for WP Super Cache then follow the tutorial. Deactivate and Delete other Social Sharing plugin if you have it installed before. That's it. You should see beautiful sharing buttons on your site. Check out live example at the end of each post on Crunchify. NOTE: I’m using ShortURL on my blog. If you want to have more social sharing buttons then please visit tutorial.